Lab horizontal bead mill_Anhui Bunkin Chemical Machinery Co.,LTD. Application Fields: Suitable for dispersing, grinding materials in a variety of applications such as biology, pharmacy, cosmetic, food, paint, ink, color paste, dyestuff, fertilizer etc. 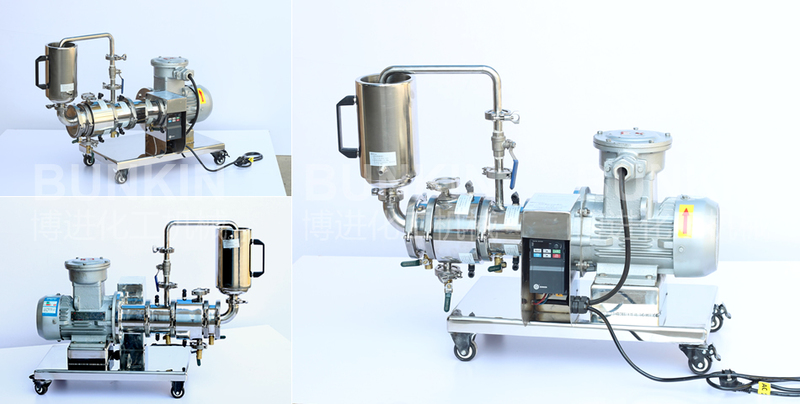 Motor-driven feeding device internal high-speed rotation, a negative pressure, through self-absorption effect, placed above the feed tank material inhaled and sent to the grinding chamber. The discs drive the grinding medium inside the grinding chamber to do irregular movements in all direction to put the materials under the action of constant collision and friction. 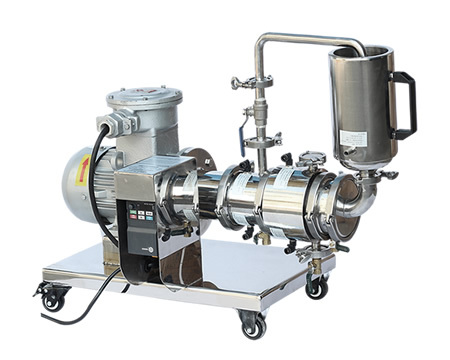 At same time, the materials are separated from the grinding medium by the sieve and keep circulation from the tank to the grinding chamber to obtain smaller particle size, narrower particle size range.